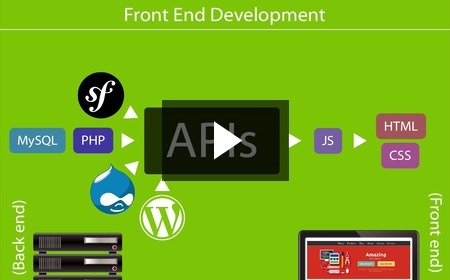 At long last, we're announcing a new series called Front End Development. Woot! Today the first two videos are being released, but next week we're going to drop 50 videos all at once. BAM! For those of you that have been waiting for some new material, this will be a humble thank you for your patience. This collection has been a lot of fun to make. It took a ton of research and planning, but the result is something that I believe can become a critical part of the journey for anyone wanting to become a front end developer or modernize their existing front end skill set. And, (nudge, nudge) those skills are becoming more and more in-demand. 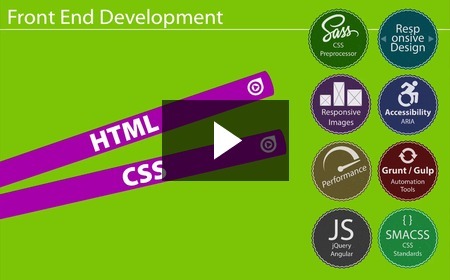 You can start this series without any prior experience with HTML or CSS and work your way up to using the tools and techniques some of the most advanced front-end developers employ. Check out the videos below to learn more and get started. First, I released a few bug fixes. Now you can use the SPACEBAR to start and pause the movie without clicking on the video first. Also, clicking the transcript to navigate the video works a bit more predictably. Second, I'm exploring the idea of adding some live-action videos to BuildAModule to explore topics that are a bit more behind-the-scenes. 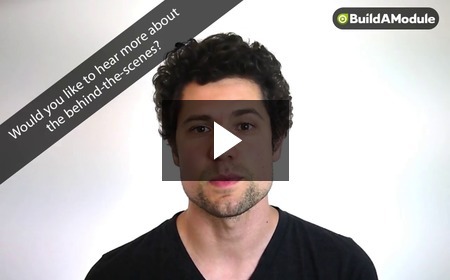 Stuff that's maybe hard to cover using a screencast or animation. If you get a chance, take a gander at this first attempt and let me know what you think. They'll get better and more tuned to what you're looking for over time, I promise, but this is just a test to see how it flies. Thanks, and enjoy the new videos! Remember to keep an eye out for the massive release next week as well. Why this series exists and what we'll be covering New! What front end development means New! 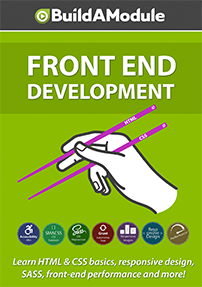 Before we dive in, we take a few minutes to talk about what we mean by 'front end', and why many developers are focusing on building their front-end skill set.